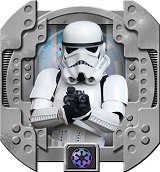 The FISD is the Legion's official site for Stormtroopers and a wealth of correct information for all things TK related, from those contemplating a white armor journey to those aiming for Expert Infantry and Centurion (higher screen accuracy) levels. At the FISD, you will not just be welcomed, but encouraged to ask any and all questions you may have, including how to get started, suggestions on where (and where not) to buy armor, build threads/help, TK weapons, etc. All the information and assistance you will need all in one place! As an official FISD Imperial Attaché for the Bast Alpha Garrison, please feel free to contact me if you should have any questions. Good luck!